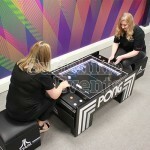 Often referred to as THE first ever computer game (it's not by the way! 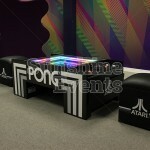 ), our ATARI Pong Table is the perfect addition to your event and brings a new level of excitement to retro gaming hire. 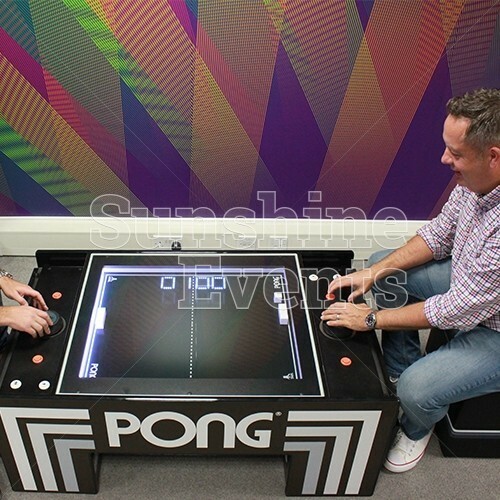 Nostalgia and modern day tech have brought this 70's classic to the forefront of fun, interactive gaming. 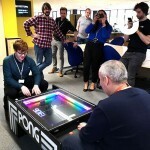 Though it is thought of as a classic computer game, the mechanics behind this highly addictive and very attractive hire actually involves motors, magnets, rails and pulleys. 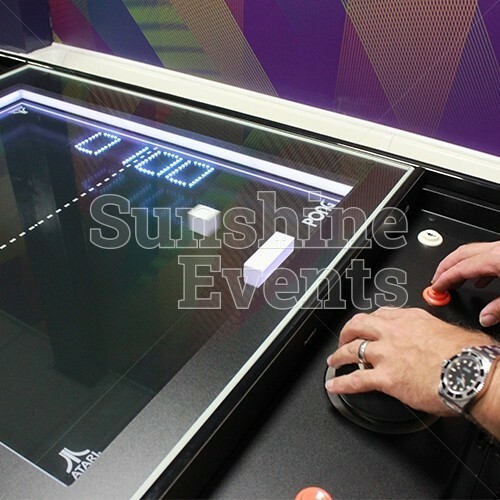 The ball and paddles are controlled using a dial for each player at either end of the table, which are controlled by magnets underneath. 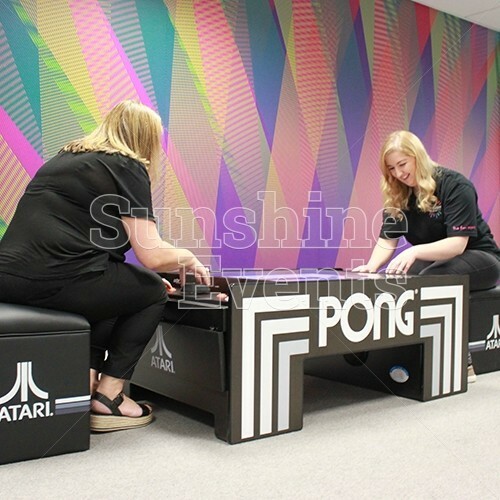 Two players can compete at any one time, as they take a seat on our specific Pong table, ATARI branded stools. 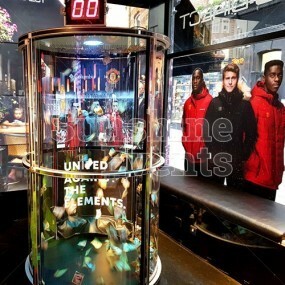 We all know the aim of the game if you don't, how was it under that rock? 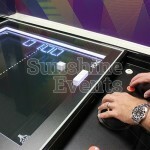 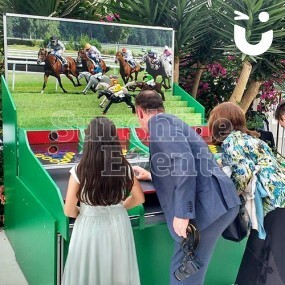 The score is displayed for players using an led display and the table itself lights up to add ambience to the excitement. 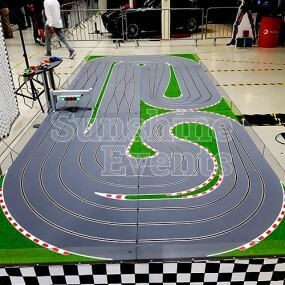 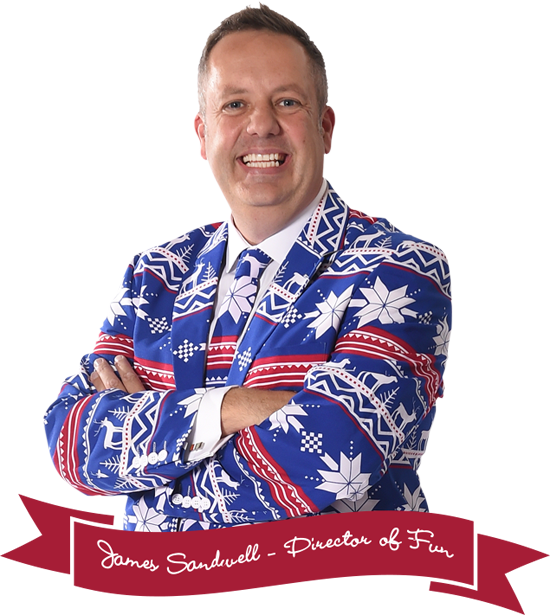 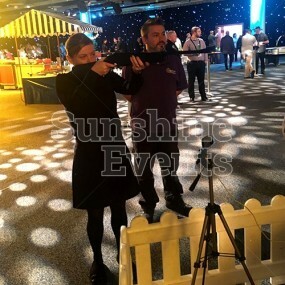 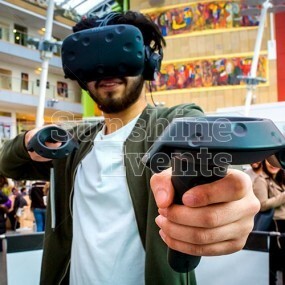 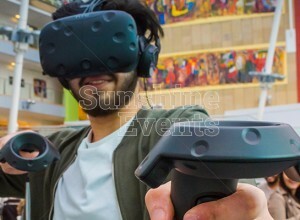 This truly is a slick piece of design which is perfect for events from Exhibitions to Team Building, Corporate Evening Events to University Events. 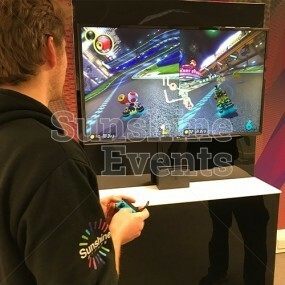 There is no doubt that people will immediately want to be involved so they can be the first to play with this retro classic! 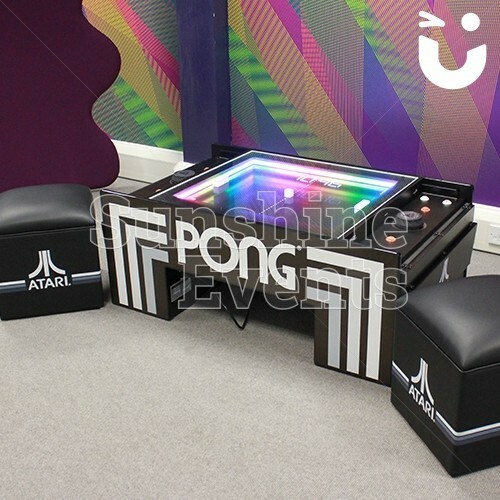 What events is the ATARI Pong Table suitable for? 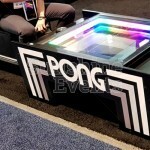 Whether you were brought up in the 80's, a gaming geek or nostalgia lover, everyone will have heard of Pong. 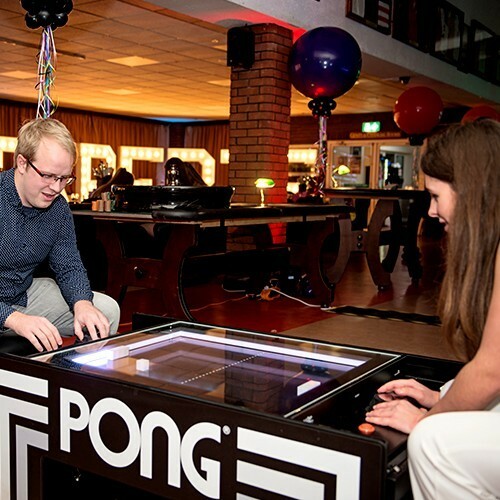 It's basic gameplay involving two 'paddles' at either side of the screen and a little white ball being batted from side to side. 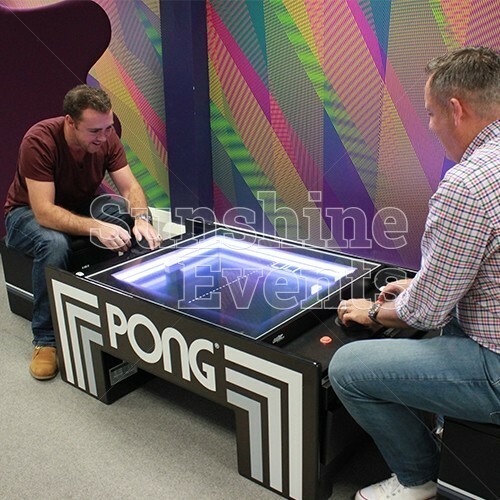 So simple but very effective and addictive! 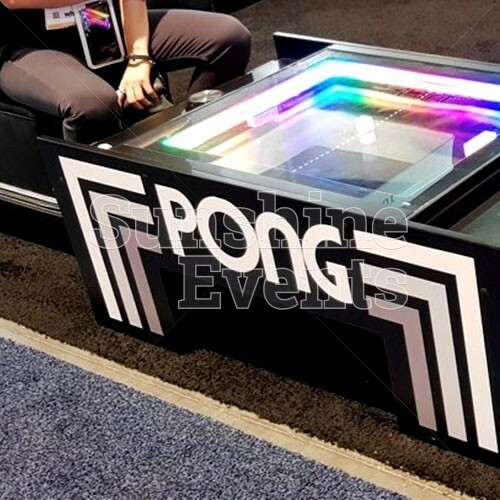 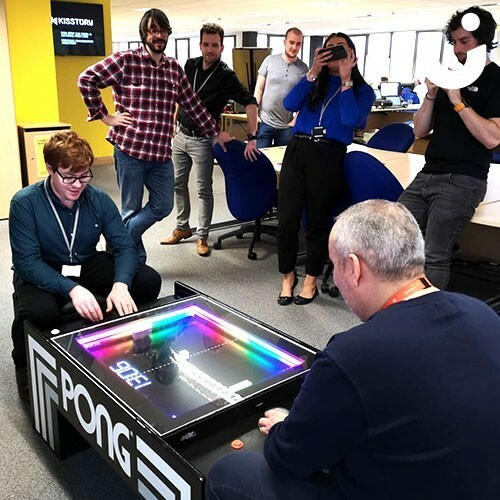 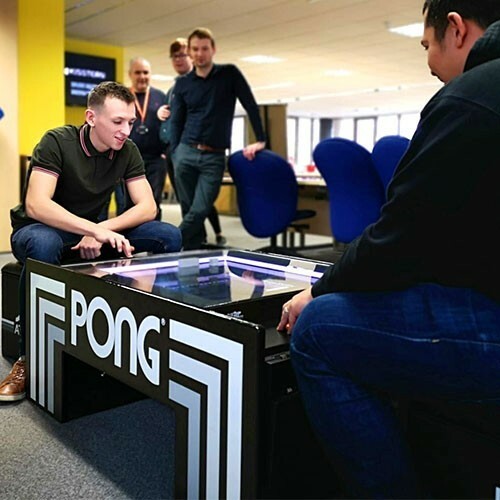 The ATARI Pong Table is ready to bring people together at your event, perfect for any sized venue and sure to delight your guests for hours as people compete and watch on. 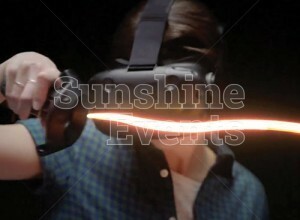 5 ways Virtual Reality can change the world! 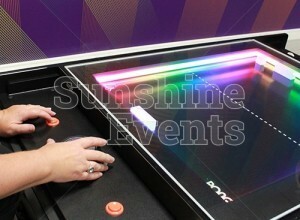 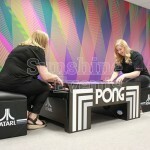 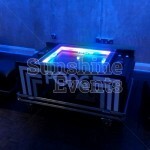 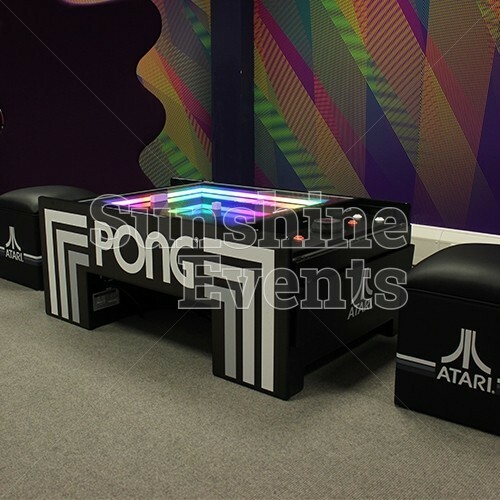 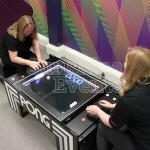 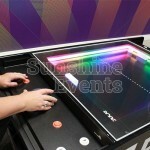 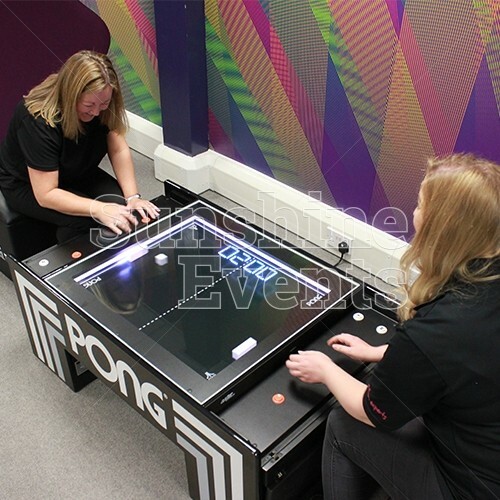 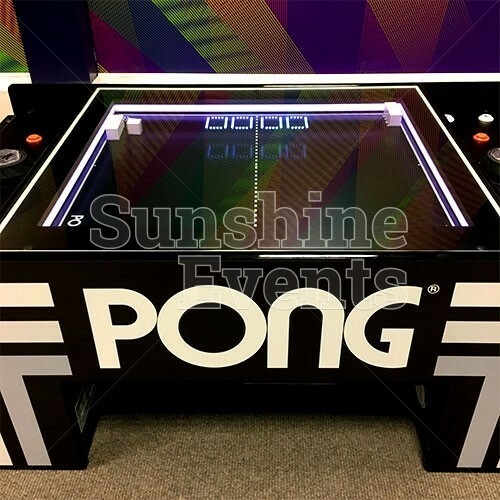 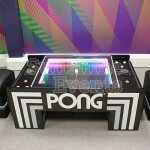 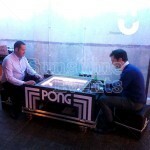 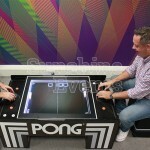 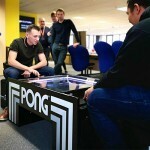 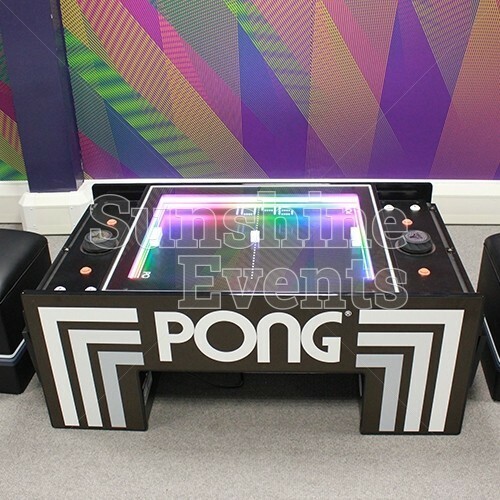 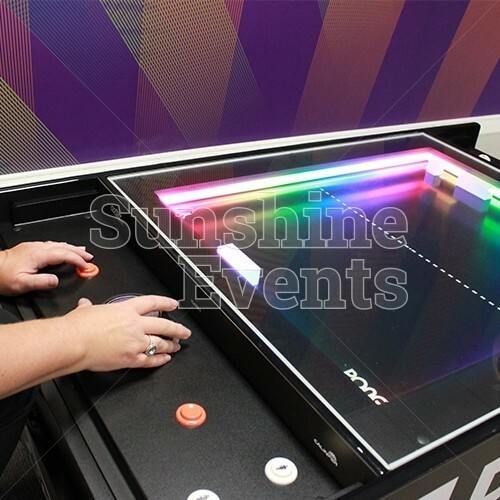 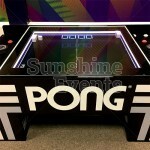 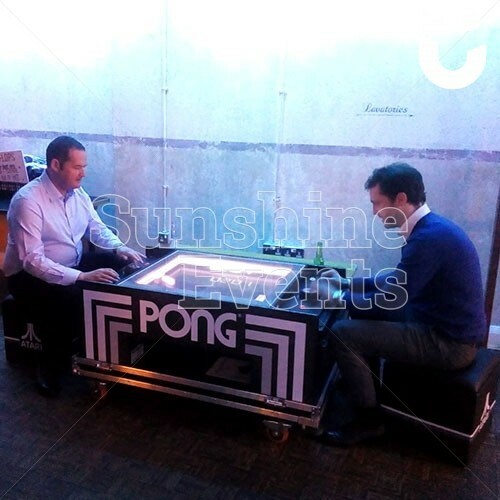 ATARI Pong Table Hire has been added to your Event Quote.